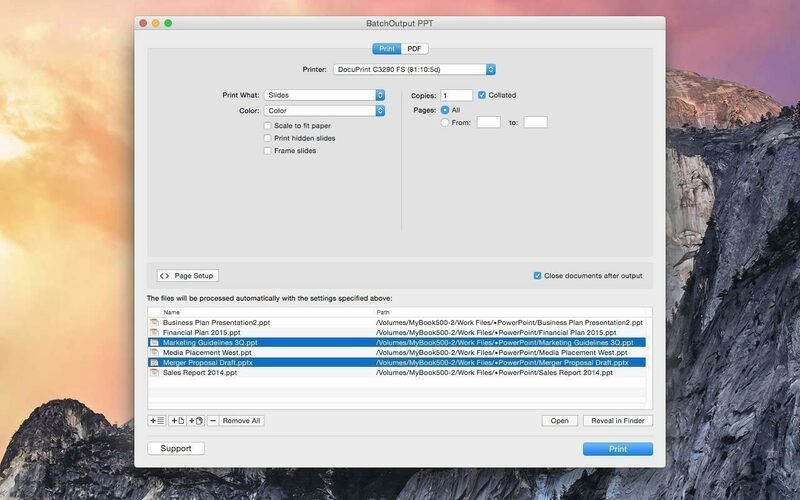 Automate printing and PDF production from PowerPoint. Is there a better alternative to BatchOutput PPT? Is BatchOutput PPT really the best app in Applications category? 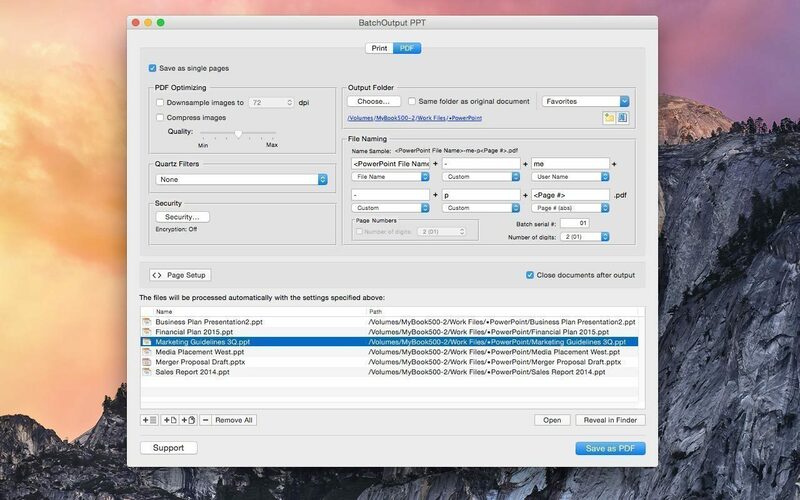 Will BatchOutput PPT work good on macOS 10.13.4? BatchOutput PPT needs a review. Be the first to review this app and get the discussion started! BatchOutput PPT needs a rating. Be the first to rate this app and get the discussion started! BatchOutput is also available for Microsoft Word (BatchOutput DOC), Excel (BatchOutput XLS) and Adobe InDesign (Output Factory).